The Ikea Museum in the original furniture store in Älmhult, Southern Sweden, explains the history of Ikea and its founder Ingvar Kamprad. 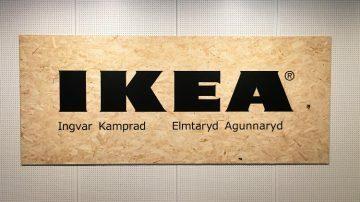 The Ikea Museum is in the small Swedish town Älmhult where Ingvar Kamprad opened the first Ikea furniture store in 1958. 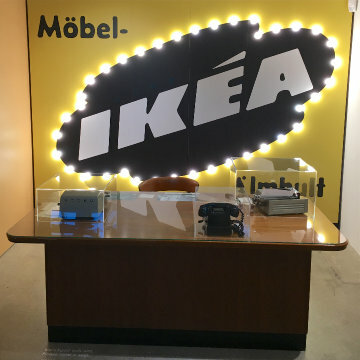 The museum tells the story of Ikea and its famously frugal founder, Ingvar Kamprad, from 1943 to the present. 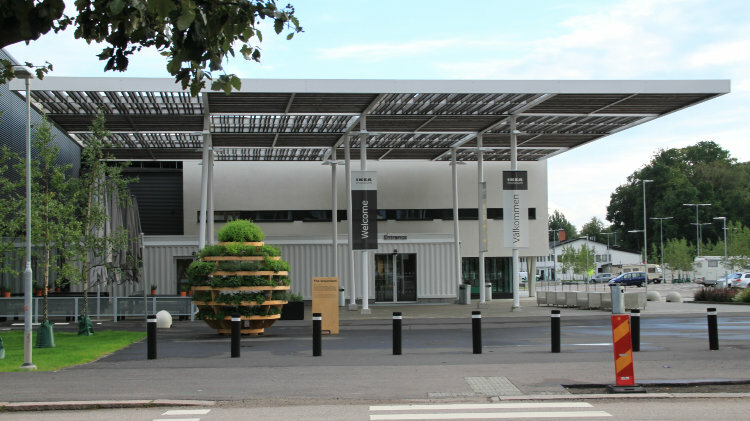 The museum is located inside the first Ikea furniture store ever – around 400 has opened since and Ikea expanded from a Swedish mail-order business to the world’s largest furniture retailer. The Ikea Museum is around two hours drive from Malmö and Copenhagen with train travel even faster. 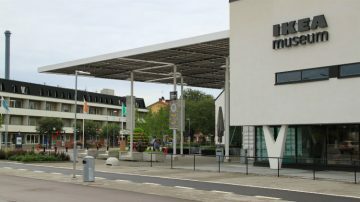 The Ikea Museum is located in the original first Ikea furniture store in Älmhult, Sweden, which opened in 1958. 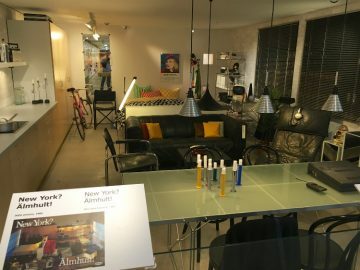 The permanent exhibition explains the roots of the company, including the influence of the times and region of Småland on the founder, and the expansion of Ikea from a mail-order company to the largest furniture retailer in the world. Special exhibitions change every six months and cover mostly different themes in the production and design of modern furniture. The first section of the Ikea museum explains the founding of Ikea but also the influences of the times, changes in society and industry, the milieu and environment of rural Småland had on the company founder and the society he lived in. Ingvar Kamprad formally founded IKEA in 1943 when he, aged 17, registered the company IKEA – an abbreviation of Ingvar Kamprad, Elmtaryd (the farm where he grew up), and Agunnaryd (his hometown in Småland). Ingvar Kamprad was an entrepreneur all his life. He started his dealings by selling matches as young boy before branching out and dealing in a variety of items including seeds, pens, fish and Christmas cards. Furniture originally was only one of range of items he sold through mail order. 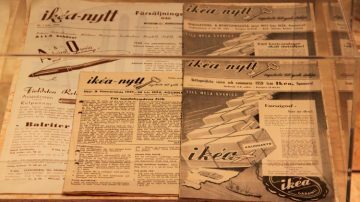 The first IKEA catalogue –“ikéa-nytt” was released in 1950 with a special furniture section. In 1953, the first flat-pack furniture was introduced after Kamprad realized how much space was required (and wasted) just to transport the legs of a table he moved with a friend in a Volvo station wagon. Tables, where customers had to screw on the legs themselves were the first Ikea customer-assembly furniture. Self-assembly was thus initially aimed at making transportation easier (and cheaper) with the labor cost saving only become really significant when salaries in Sweden (and other countries) rose. The first Ikea furniture store only opened when Ingvar Kamprad realized shoppers wanted to see and feel the quality before buying. The first Ikea store opened in 1958 in Älmhult in the purpose-designed building by architect Claes Knutson that now houses the Ikea Museum. It was an instant success. Ikea since expanded to 49 countries with around 400 stores. For the past decade, Ikea has been considered the largest furniture retailer in the world. The typical blue-and-yellow Swedish-flag color for Ikea stores were only introduced in the 1990s. 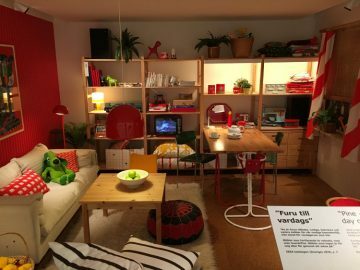 Previously, a variety of colors and symbols were used: many where red and white leading many to believe that Ikea was originally Danish – partly also due to Ingvar Kamprad moving his company and family to Denmark for tax reasons in 1973 and five years later to Switzerland. Today, Ikea is registered in the Netherlands with a suitably complex ownership and tax structure that attracts more attention from EU regulators than from the museum. The museum deals with many of the successes and errors made along the way. It also refers to Kampgard’s now well-published flirt with fascism in his youth. The upper level of the museum is arguably the most interesting part. Here, the story of Ikea’s worldwide expansion continues with period furniture on display. Several rooms from a variety of decades are reproduced to show how tastes and styles changed through the years. The top non-Ikea furniture item in the museum is Ingvar Kamprad’s desk that he used in the 1960s. It came for free with his Stockholm office so he kept it. The museum also claims he flew business class only once in his life – when a fire required him to return to Sweden urgently and no coach seats were available on the flight. A variety of interactive displays entertain visitors and families. It is possible to take a catalogue cover photo or add color to white furniture. 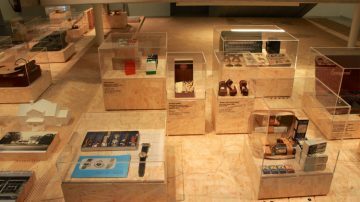 Temporary exhibitions change every six months and are usually very interactive with opportunities to not only try out new ideas but also actually produce Ikea items such as bags. The souvenir shop sells some regular Ikea items but the main draw is Ikea souvenirs that are only sold in this particular shop. 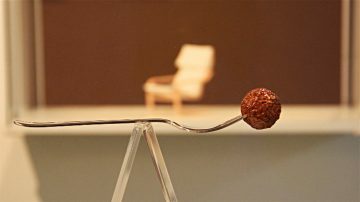 A small café offer the typical Ikea range including of course the famous meatballs that had been an IKEA mainstay since 1979. Both café and shop may be visited without paying the admission fee. The Ikea museum is open daily from 10:00 to 19:00. The museum is open on Sunday and most vacation days but closes a few days around Christmas, New Year’s and Midsummer. Guided tours in English are well worth joining for free in July and August at 11:45 and 14:45. The rest of the year tours are in Swedish only and only on weekends. Admission is SEK60 for adults and SEK40 for children 6 to 17 years. A family ticket is SEK160. All descriptions in the museum are in both Swedish and English. Getting to the Ikea Museum, Ikeagatean 5, 343 36 Älmhult, is easy by car or train – the station is directly behind the museum while its location in a former Ikea store means parking is plentiful. Älmhult is on one of the major roads linking Malmö / Lund / Copenhagen with Stockholm making it a popular stopover as well as a good place to break the journey for the night without breaking the bank. Driving time is around 2 hours from Malmö, 2h30 from Copenhagen, and around 5h00 from Stockholm. Traveling by train is also a good option – the Älmhult train station is right behind the Ikea Museum. Traveling time is 1h15 from Malmö, 1h00 from Lund, 3h20 from Stockholm and 2h15 from Copenhagen and Copenhagen Airport. Across the parking lot from the Ikea Museum is the Ikea Hotell with modern, family-friendly rooms. The Ikea store is a few minutes drive away in the opposite end of the town. Here is also a very large Ikea Fynd outlet store area and a few further factory outlet shops for bargain hunters. Tripadvisor users generally rate the Ikea Museum well, although some complain at having to pay for seeing a company museum.